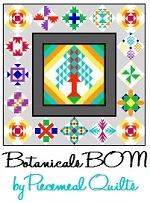 Next are the Family BOM (Block of the Month) projects. 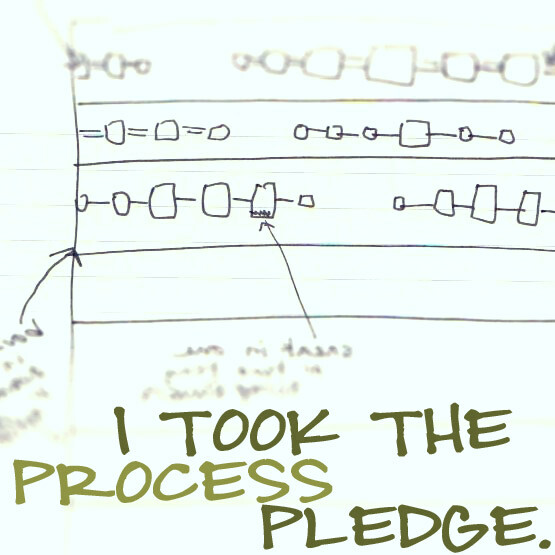 I wrote the instructions for twelve blocks, gave them to family members, posted some of them on my blog to download for free… and never finished one myself. The first BOM, back in 2008, was all stars. I made it halfway through. 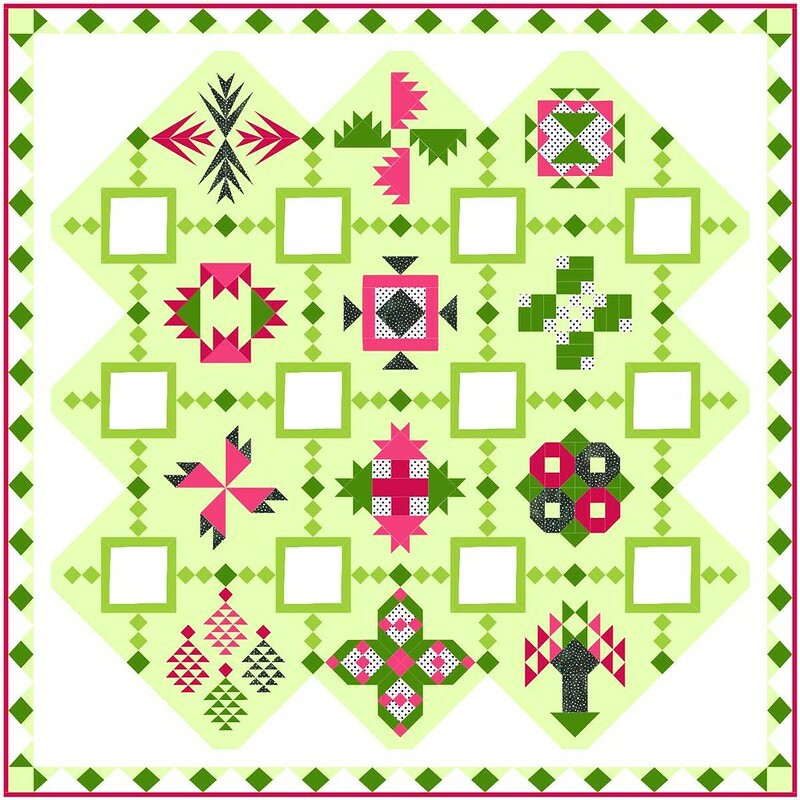 The block at the top center is an original design. I call it Anxiety – I was sure I’d written about this block before, but apparently it isn’t on my blog. 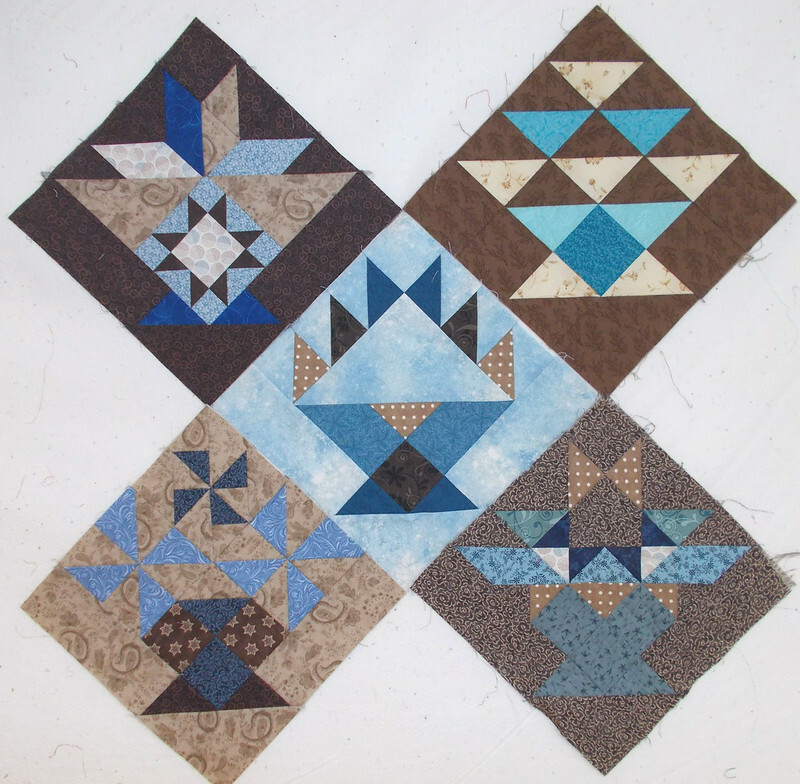 I’ve played around with designing a quilt around that block, but that’s a story for another time. The next BOM was baskets. I had no idea what fabric I wanted to use, so finally I just decided to go with brown and blue, even though it didn’t really speak to me. I think we’d just finished making a brown and blue quilt for a neighbor kid’s graduation, and the fabrics were lying around. Funny, because now I really like them. The fifth one got urped on by Rugen and I lost interest. (Yes, the fifth one is pictured. Dry cat urp vacuums up quite well.) 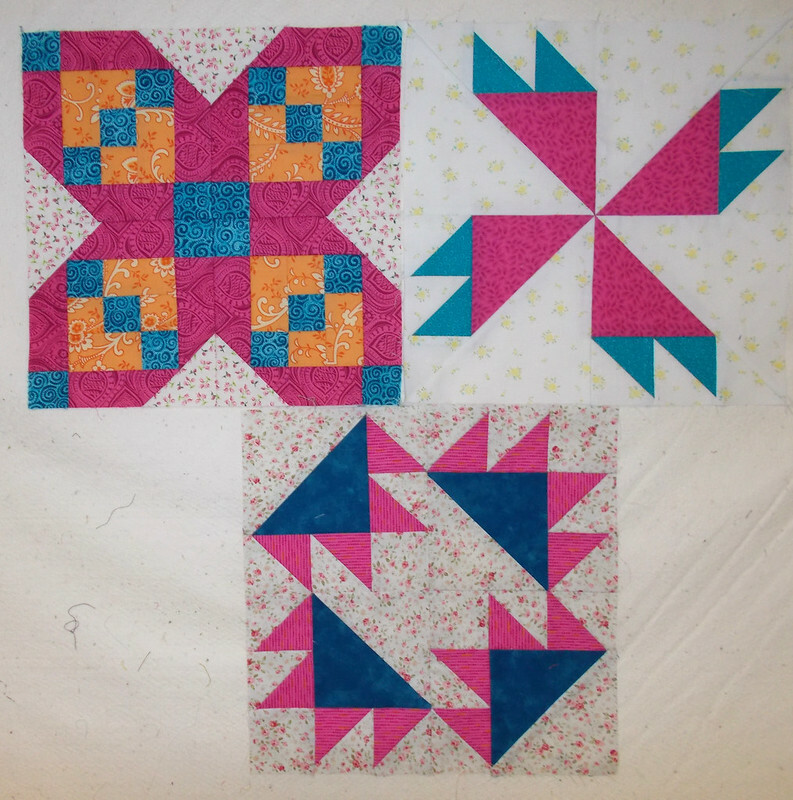 These blocks, plus setting instructions, are available on my Patterns page. Then came Botanicals – all of the blocks had plant names, like Shasta Daisy and Rosebud. 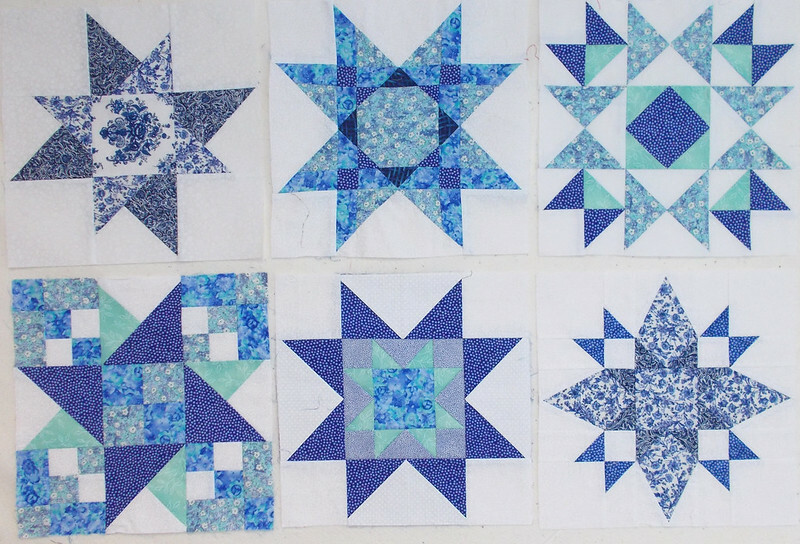 I posted the first three blocks as a quilt along, and then I vanished from the blog for a couple of years, came back sporadically, and vanished for another couple of years. 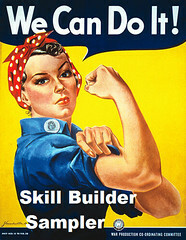 I actually do have all of the blocks written – guess that’s another 10 posts I can write! I actually have two sets of blocks for this BOM. 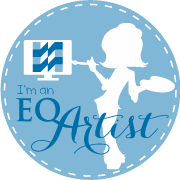 I started with an assortment of cheerful, girly prints, but after three blocks I came up with another setting and coloring in EQ7, so I started over. There was supposed to be a mystery quilt in there somewhere, but I never got around to writing that. Now we’re in the middle of a Family Row Quilt. All of the rows are written, and my mom actually has her top done. I have fabrics pulled. That should make an appearance on the blog before too long. You’d think I was done, but no, there’s at least one more post to come. The setting for the last one is terrific. Just that would make it worth finishing. 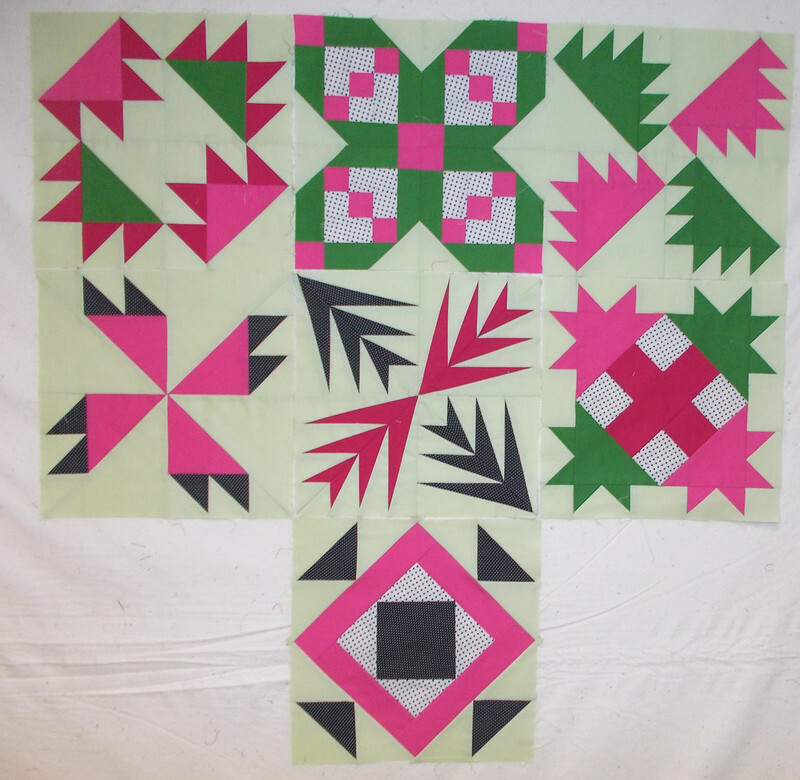 The green and pink quilt setting is amazing! Definitely worth finishing.